One of my favourite places on the planet for climbing, boulder hunting and being... the gneiss territory around the road from Rhiconich to Sheigra and the territory beyond. I noticed recently that Google maps have upped their resolution for this area amongst others and it's great fun exploring steep shadows with an eagle's-eye view... I've put a Google map together of the best places to boulder here I know of so far, plerase email me if you know of any others nearby. Thanks to Chris Fryer for the prompt and photo... a visit is called for soon! Clochodrick Traverse from Stewart Brown on Vimeo. News from Simon Fildes on their new film 'Crux' - go see it at the Beautiful Game exhibition if you're passing through Dundee - in the Hannah McClure Centre. The exhibition The Beautiful Game will seek to explore the relational aesthetics of sport, athletics, art and game play, along with its theory and psychology, mark making and movement, modes of athletic performance, temporal and spatial dissonance. By employing a wide variety of artistic practice The Beautiful Game brings sports into a visual arts context exposing the active aesthetic. 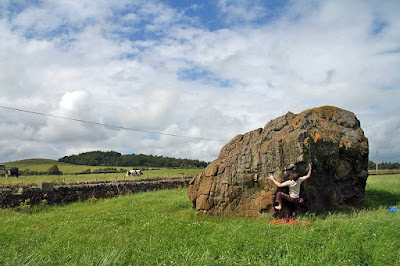 The mystery that is the Clochodrick Stone has always been actually finding it! Driving around the fields of Renfrewshire aimlessly is a prerequisite frustration. Eventually you stumble on this occasionally-glimpsed stone, nestling in the corner of a field much like a sad burst football. I still get lost, despite having visited every year for the last decade! There is not too much to get excited about, but the straight-up problems are all fun from sit starts and perhaps the greatest mystery is the nature of the mythical 'Traverse'. 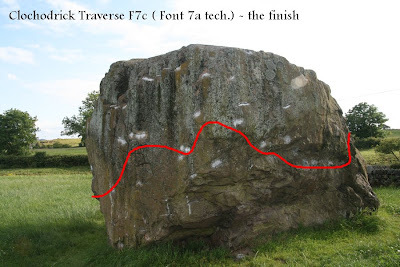 I had heard Paul Laughlan used this stone for training before doing the Tunnel Wall routes, so I'm sure he worked out this traverse and used it as training. It goes about F7c, though nothing more technical than Font 7a. Stewart Brown repeated the traverse for the camera, which we'll upload soon and will illustrate the best method. Basically sit start the south arete and turn the bulge and continue as low as possible round the north arete, low as possible across the crux north wall via crimps and a crux reach to a pinch, then drop down to the west roof and finish along this. It's a long outing and extremely pumpy, good for summer evenings if you're bored of Dumby. there's a F8a (Font 7b+) version finishing along the west wall sloper eliminate - hard to describe but you'll see it when you're there. 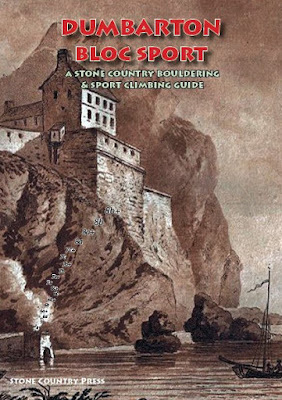 Currently we are developing the Stone Country Bloc Sport website to include a new series of area guides in pdf format, reworking Dumby and other Glasgow-radius crags with sport climbing included (so we'll have the new sports crags at Lomond and elsewhere...details to come!). 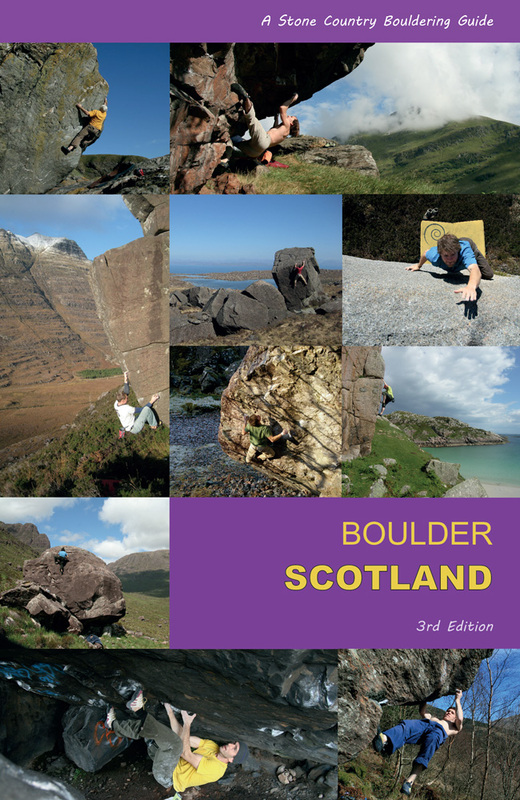 These topos will also be available from the exciting new Betaguides website (due to launch in the next month or so - a complete database of bouldering in Britain). Dunglass has been a saviour for me over the early summer, acting as a good training ground to get some basic fitness back. 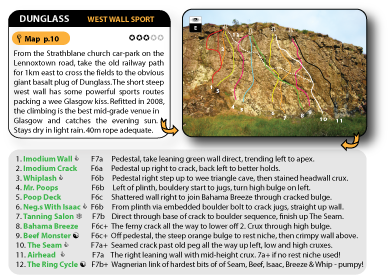 We have fully bolted the West Wall (though the trad routes remain untouched, so no chopping - the existing bolted routes have been refitted and some other routes squeezed in between Steel Finger and Wall of Horrors, the two main trad lines). 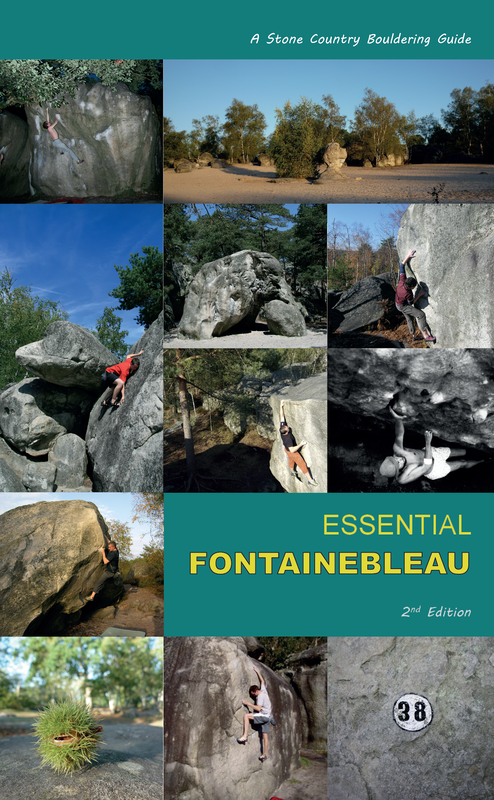 There are now around 15 sport routes in various combinations between 6a and 7b+. The girdle project fell late last night in cool conditions to John Watson, which is now the biggest challenge on this crag at a Wagnerian 25 metres! 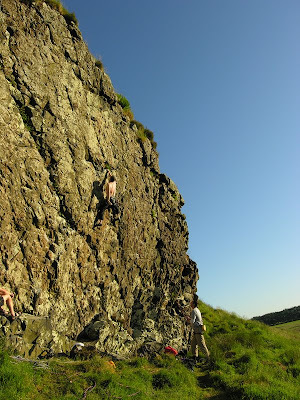 It's called The Ring Cycle and goes at about 7b+, though I'd say a Dunglass 7b (with apologies to Cammy!). Now for some trad action hopefully!